You've found the “Texas Pygmy Goat Breeders” page here at Hobby Farm Wisdom! If this is the first time you have visited our site: Welcome! Originally from West Africa, Pygmy goats are a miniature domestic breed typically kept as pets but are also useful for milk production and as working animals. It’s a very hardy breed that can adapt to any climate. Does weight between 53-75 lb and bucks 60-86 lb, growing to be between 16-23 inches tall. Pygmy goats color pattern are varied: caramel patterned, agouti patterned and black patterned, with more subcategories within these. These goats are precocious and polyestrous breeders so it’s best to separate the does from the male kids by two months old. Neutered male pygmies are better pets than bucks (called wethers), since they don’t give off a musky smell. They live between 8-18 years and eat mostly greens and grains. They are very mischievous and playful and like to jump on things. They require fresh water, shelter and a companion whether or not from their species. Can’t find the right Pygmy Goat in Texas? Check in: Louisiana, Oklahoma, Arkansas, New Mexico, or Mississippi. 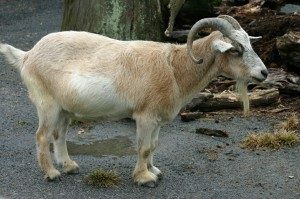 Or, to see a list of ALL the Pygmy Goat breeders in the US: Click Here!